Your cat knows what's up. Even if she doesn't run and hide at the sight of her carrier, there's no way she's going into that thing without a fight. But the fight stresses her out and can leave you frustrated and scratched up — not to mention late for the vet. Enter the kitty burrito. Set your cat on the towel, with her face by the top edge. 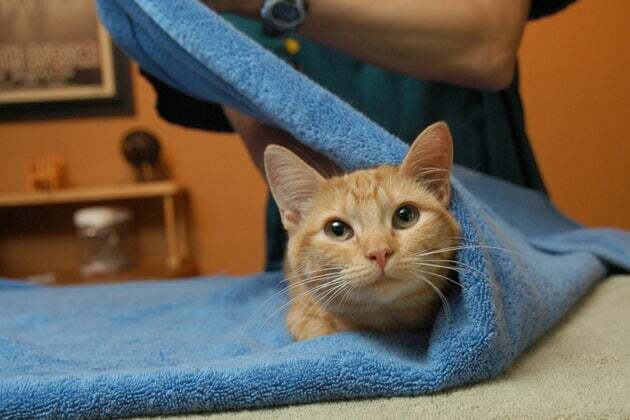 Gently wrap the towel around your cat, making her the filling of the burrito. Tuck the bottom around her legs (so none of the filling leaks out). Slip the entire burrito into the cat carrier. 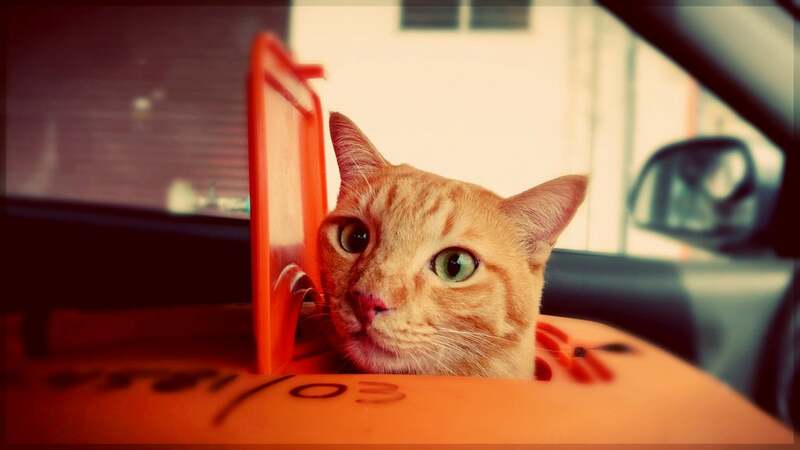 Once you close the carrier, your cat should have enough room to orient herself properly. You can leave the towel in, but if it's gotten tangled or is in a weird spot, pull it out before you shut the door. If your cat's up for it, offer her a treat through the door of the carrier, as a reward and a peace offering. Kitty burritos can also work for soothing and restraining your cat while you clip her nails or give her medicine, and they help feral or scared cats acclimate to human contact. And guac isn't even extra.